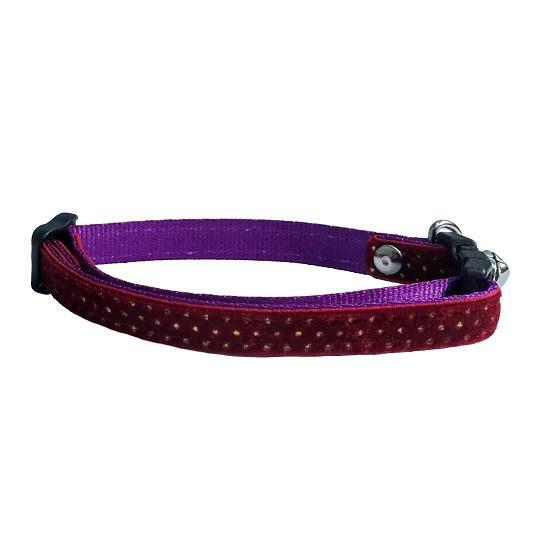 Our sumptuous velvet cat safety collars are hand-crafted in England. 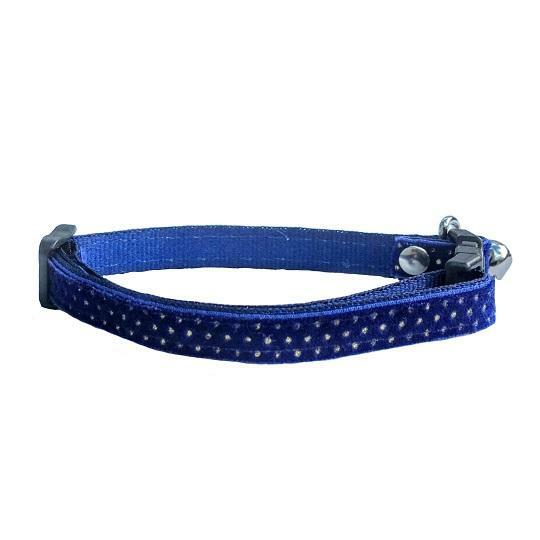 They are made from lightweight webbing and sparkling gold spotted velvet. 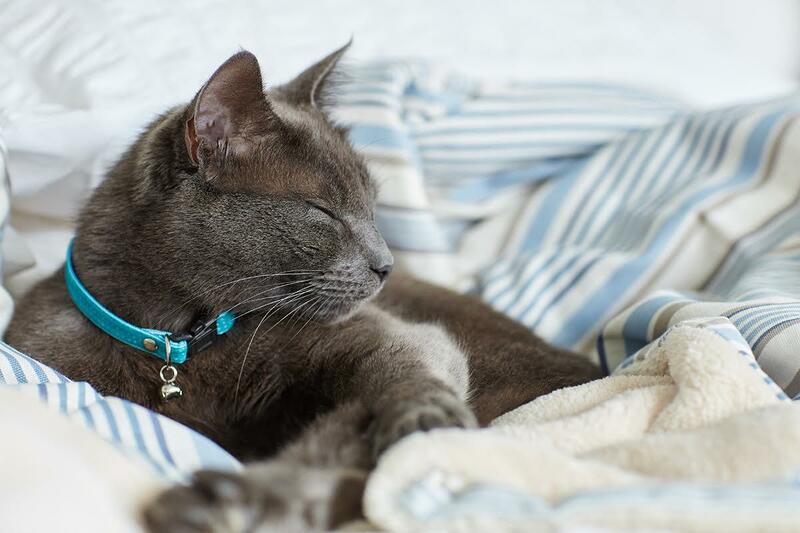 All our cat collars feature a safety buckle which will automatically release if your cat gets caught on anything. 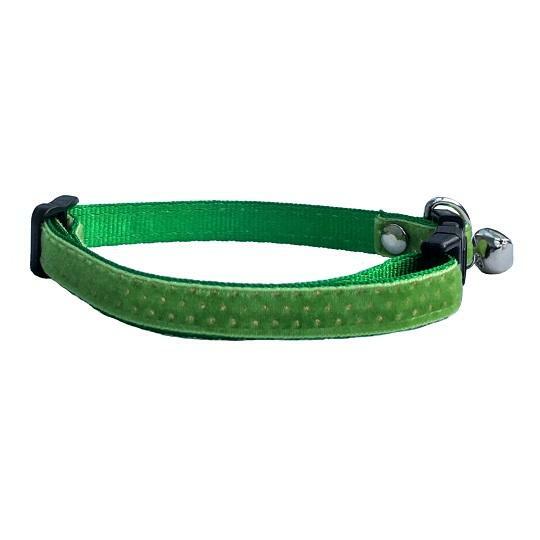 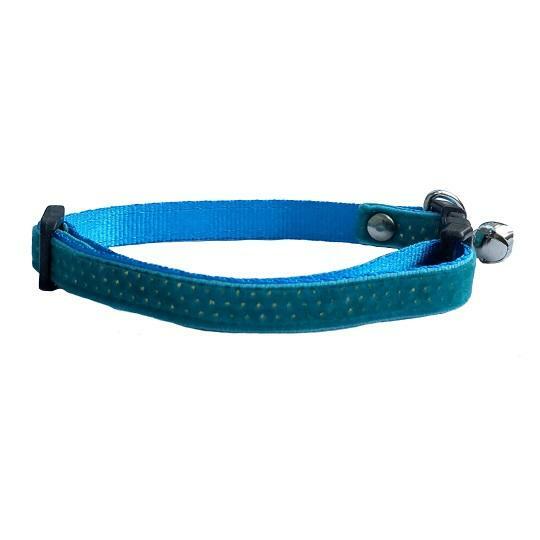 We only manufacture cat collars with a safety clasp as these are the safety type.